This rich, creamy soup makes a nice light meal with a salad or a special first course for a holiday dinner. We spent last weekend at the Eastern shore with family celebrating my parents’ 50th wedding anniversary. Naturally, we ate A LOT of Maryland Blue Crabs, which are in season late spring to early fall. This recipe is inspired by a crab soup I had during our stay. It’s rich and creamy and seasoned with Old Bay. It makes a nice light meal with a salad or a special first course for company. The sherry at the end is optional, but I love the depth of flavor it adds, and also how it cuts through the richness of the cream. This is an admittedly decadent soup: please don’t be tempted to substitute the half & half with milk. It doesn’t work unless you add more butter and flour, which of course defeats the whole purpose of making it lighter. I promise it’s worth it! For the crabmeat, try to buy fresh if possible. Fresh crabmeat is sold in plastic containers (I get mine at the fish market or Whole Foods) while pasteurized crabmeat is sold in cans. Old Bay seasoning is a spice blend that you can find at most supermarkets near the seafood department. If you’d like to make your own, I recommend this recipe. I love Old Bay and use it in a bunch of recipes, such as Maryland crab cakes, salmon cakes, Old Bay shrimp salad, Chesapeake corn with tomatoes and basil, and peel n’ eat shrimp. To begin, melt the butter in a medium saucepan over medium-low heat, then add the flour. Whisk for about 1 minute, until well blended. Whisking constantly, gradually add the half & half. Add the mustard, Old Bay, salt, and pepper. Bring to boil, whisking frequently (be sure to scrape the edges of the pot, where the flour mixture tends to settle). As soon as the soup starts to boil, reduce the heat to a simmer. Cook, uncovered, until thickened, about 30 seconds. Stir in the sherry and crabmeat. Taste and adjust seasoning if necessary. If the soup is too thick, add water, little by little, to thin it out (it will thicken the longer it sits on the stove, even off of the heat). Ladle into bowls and sprinkle with chives. Serve with lemon wedges, if desired. Melt the butter in a medium saucepan over medium-low heat. Add the flour and whisk for about 1 minute, until well blended. Whisking constantly, gradually add the half & half. Add the mustard, Old Bay, salt, and pepper. Bring to boil, whisking frequently (be sure to scrape the edges of the pot, where the flour mixture tends to settle). As soon as the soup starts to boil, reduce the heat to a simmer and cook, uncovered, until thickened, about 30 seconds. Stir in the sherry and crabmeat. Taste and adjust seasoning if necessary. If the soup is too thick, add water, little by little, to thin it out (it will thicken the longer it sits on the stove, even off of the heat). Ladle into bowls and sprinkle with chives. Serve with lemon wedges, if desired. Note: Old Bay seasoning is sold in the seafood department at most supermarkets. It can also be ordered online or made from scratch. Note: Lemon is really only necessary if not using the sherry. OMG this was SO delicious and easy to make! I sautéed a small amount of chopped onions with the butter and minced 1 clove of garlic to this recipe. I also added more Old Bay. I couldn’t believe how fast and easy it was! I did not have Sherry but will stock up on a bottle next time. Can you add white wine instead? Also, do you have any recommendations for a lower fat version? Thank you again for this delicious recipe! Hi Donna, so glad you enjoyed this! Yes, you could use white wine in place of the sherry here. And regarding making it lighter, it’s really the half & half that makes the soup indulgent. While it may be tempting to substitute the half & half with milk, the soup really won’t have the right consistency unless you add more butter and flour, which of course defeats the whole purpose of making it lighter. Sorry! My sister and I made this soup today after my coworker found this recipe and to say that this was delicious would be an understatement. I will definitely be making this again and again!!!! I had some leftover crab and wanted to make a soup similar to She-crab Soup I used to get in Virginia Beach. Used this recipe and adjusted spice/water to taste as suggested. Came out perfect! I’m definitely going to use this recipe again! I just made this soup for the very first time tonight, so quick and easy and very delicious! The crab and cream lovers in my family loved it! I added a touch more pepper and Old Bay, as my gang likes spicy! Otherwise I followed the recipe to a tee! Thanks Jenn, you are the best! Could I substitute the sherry wine with anything non alcohol? Thanks! Hi Luke, you can just omit the sherry – the soup will still be delicious. Enjoy! A traditional Maryland-style brunch is an annual Thanksgiving weekend tradition in my family. This year we added the creamy Crab Soup to the menu—words can’t describe the deliciousness!!! So creamy and decadent, everyone raved about it. My son, the foodie, said it was the best he’d ever had! I doubled the recipe and followed it exactly. Over the top Jenn—you nailed it! Hi Tamera, I’d recommend dry sherry for this if you have it. Hi Lauren, I don’t think this soup would freeze well due to all the dairy so I’d freeze half the crabmeat. Hope you enjoy it! Lovely fast recipe. I’m not a big mustard fan, but I always make recipe as directed first, then make any changes. I added a tsp of tomato paste and that made the difference for me. Used frozen Dungeness, and my husband just arrived home from fishing trip and announced I could make it with fresh crab tomorrow! Thanks for another tasty dish Jenn. Delicious and super simple! I doubled it because I had a pound of crabmeat, and I will be very glad of any leftovers tomorrow for lunch. I ended up adding a bit more mustard, sherry, lemon and salt to taste. OMG! So easy! So delicious! D. Lish. Ous. I live in Delaware, so fresh blue crab is plentiful. Cream of crab soup is also on nearly every local restaurant menu. But it is often gooey , overloaded with Old Bay, and crab pieces are sparse. This recipe is perfect; simple, no fuss, and allows the crab to be the star. Bravo, Jennifer! Hope you enjoyed your trip to Delmarva! The minute I saw this recipe, I knew I had to try it. My husband was born in Maryland and grew up on the Gulf Coast, so he’s always in favor of seafood. This soup is delicious on a cold rainy day! Hi! Making this today…I’m not using sherry so do I add lemon juice at that step in the recipe instead or just in individual bowls before eating? Thank you! Hi Julie, It’s up to you — I’d taste it and add it only if you think it’s needed. Eating it now. I added it to my bowl. Man it’s good and I don’t like crab soup. Going to make this tomorrow,I have a can of crabmeat which is a pound can I use it all? Hi Gail, I’d use half the can for the recipe (or you can double it and use the whole can so it doesn’t go to waste). 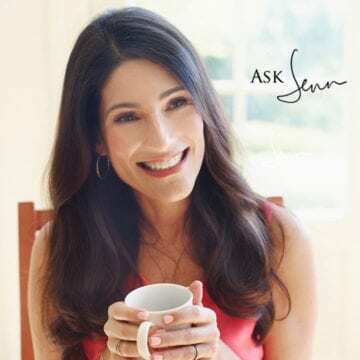 HI Jenn, is that correct in the above recipe – simmer for 30 seconds? or should it be 30min? Also, does the fresh crabmeat make a big difference? vs the pasteurized version? Btw – I am ordering your cookbook for all of my friends this Christmas! Thank you for sharing all of these amazing recipes! I can’t wait to try this tonight with friends! All of your recipes turn out amazing!! Can I substitute cooking sherry or do you think the dry sherry is much better? I would definitely recommend dry sherry over cooking sherry (I’m not a big fan of cooking wines). Hope you enjoy if you try the soup! This rich and decadent sounding soup sounds amazing! I do wish to try it gluten and dairy free. Being so dairy allergic I rarely get to enjoy these creamy Fall soups. 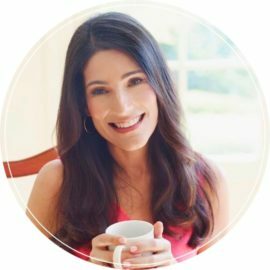 I have had a lot of luck making substitutions like (Earth Balance and King Arthur Gluten Free Flour) with your other recipes because I think your techniques for cooking are so classic and straightforward. Do you have any non dairy suggestions for the half and half? There was a “see note” entry for the lump crab…… What was it? Thank you Jenn for your MANY great recipes!!!! My family and friends LOVE them! Thanks for catching that, Barb! For the crabmeat, try to buy fresh if possible. Fresh crabmeat is sold in plastic containers (I get mine at the fish market or Whole Foods) while pasteurized crabmeat is sold in cans. Good to know, Bonnie – thank you! Thank you so much for posting this recipe. I was wondering where you purchase your crabmeat? Hi Megan, I usually get it at Whole Foods. I believe the brand is Epicure and it’s the fresh one in the plastic container, not the pasteurized one in a can.